The Ann Arbor Chinese Center of Michigan’s Chinese New Year’s Celebration will be held on Saturday, January 28, 2012, 3-9pm, at Washtenaw Community College, Morris Lawrence Building, 4800 E. Huron River Drive, Ann Arbor. There will be Children’s Performances by students (3:00-5:30 pm) including a colorful lion dance; traditional Chinese instruments; dangerous kung fu (martial arts); graceful Chinese fan dancers; spectacular Chinese Yo-Yo stunts; and Chinese New Year’s stories, songs, rhymes, skits, videos. A Chinese New Year’s dinner will be served 6:00-9:00 pm. There will also be children’s games, crafts, tea, and fruit (7:00-9:00 pm). Raffle. Special guest performance by the Ann Arbor Traditional Chinese Music Ensemble. Tickets for performances and dinner will be available in advance and at the door: $12 Adult, $10 Children ages 4-14, children under 4 free ($10 adult, $8 child, in advance at principal@aaccom.org). Additional tokens (25 for $5) may be purchased and exchanged for games and snacks. Chinese New Year’s Day will be on January 23 of this year. It signifies the beginning of spring and is celebrated by ethnic Chinese in many countries around the world. It is also celebrated by ethnic Taiwanese, Koreans (Sol), Vietnamese (Tet), Tibetans (Losar), and others; and it has become woven into the fabric of American culture. Every year is represented by one of 12 animal zodiac signs, and this will be the Year of the Dragon. 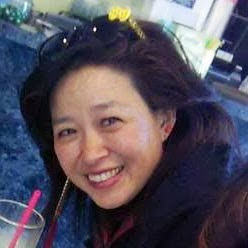 American Citizens for Justice, also known as Asian American Center for Justice, is a nonprofit 501c3 organization serving the Asian Pacific American communities of Michigan and fighting for the civil rights of all Americans. It was founded in 1983 after the baseball beating murder of Vincent Chin. American Citizens for Justice/Asian American Center for Justice (ACJ/AACJ) has a new website at AmericanCitizensforJustice.com. The American Citizens for Justice Blog formerly at americancitizensforjustice.blogspot.com has been moved to asianamericancenterforjustice.blogspot.com and will no longer be maintained. 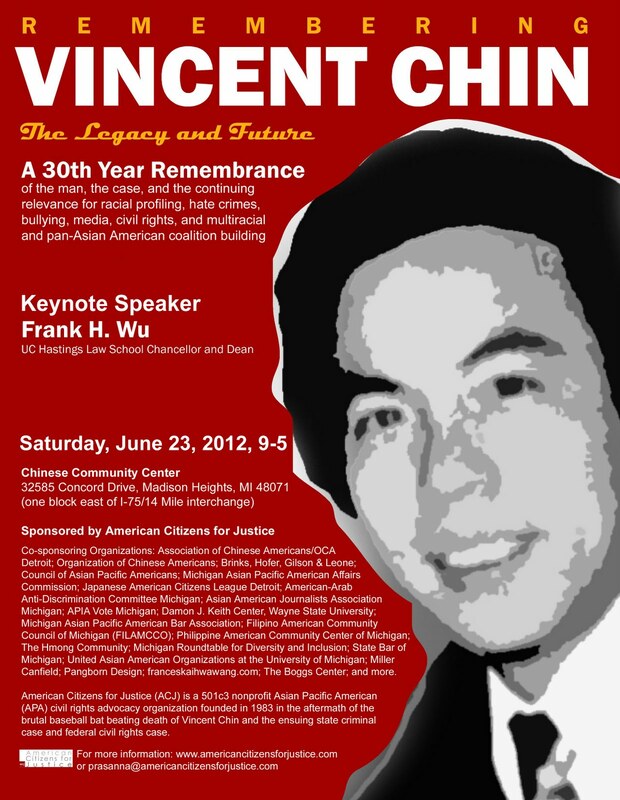 American Citizens for Justice is sponsoring a Remembering Vincent Chin Conference: The Legacy and Future, A 30th Year Remembrance on June 23, 2012, at the Chinese Community Center, Madison Heights, MI. Frank Wu will be the keynote speaker. Very excited to see dreamy David Henry Hwang, Literary Genius, once again at the University of Michigan Friday night. Officially, he was here to talk about his Broadway play, Chinglish. But we had fun making paper airplanes together with Little Brother. Apparently the last time he was here (when I followed him all around campus, utterly starstruck), Glee's Darren Criss was a student in the playwriting class he visited. I was there, too. What a difference five years makes. Here's the link to his talk: http://www.confucius.umich.edu/images/hwang.jpg. Where are you going to be June 23, 2012? Keynote Speaker Frank Wu. This is Michigan Engineering? Where my Asian Americans at? Great video, but this does not look like the Michigan Engineering I know. Where my Asian Americans at? Thanks to Discovernikkei.org for reprinting this Oshogatsu article! No one is there. Then I look down. A package! A box of rice. A very big box of rice. Who would ship me a very big box of rice? So exciting to be featured on BlogHer.com!